A night of pure Clapton pleasure! The Show returns to Pretoria at the newest and definitely the most premiere theatre in The Jacaranda city: Atterbury Theatre! Chapman, this excellent production promises a night of pure Clapton pleasure in a venue to suit the occasion! 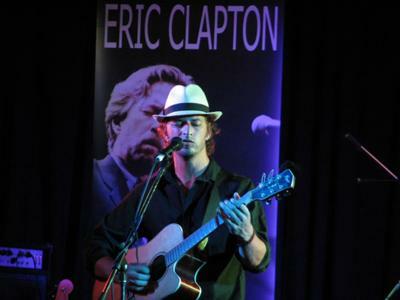 The show not only exposes the amazing talent of Mr. Clapton, but also tells the stories behind the music! The show had a sellout run at Emperor’s Palace and performances at Top venues such as Tanz Café and Potters Place, Villa Pascal.